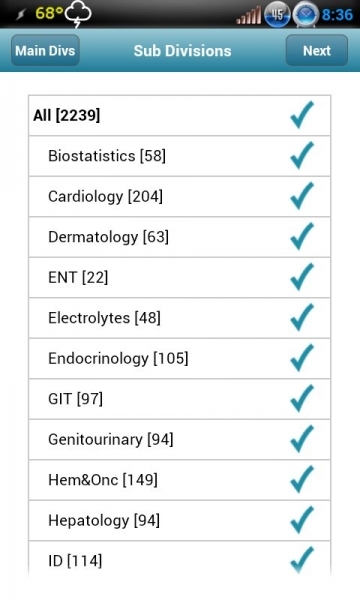 USMLEWorld is one of the best question banks available for all three steps of the USMLE. The mobile app has been available for iPhone for quite some time and the Android version is finally available on the Google Play Store. 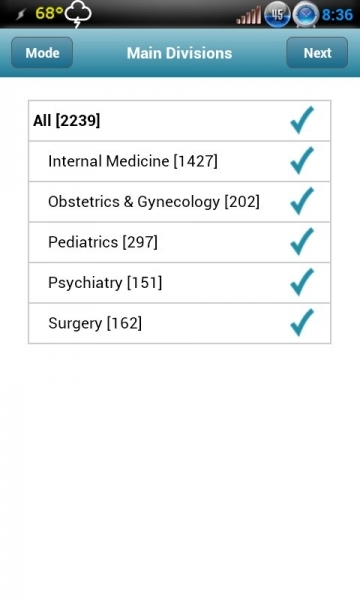 The USMLEWorld (UWorld) app provides access to the same question bank as the desktop program. Although the app is free, it requires an active subscription to UWorld in order to function. Overall, the mobile app is excellent and I now prefer using this software over the desktop version. If you are studying for USMLE it makes clinic downtime much more productive. All the functions of the desktop program are available on the mobile app and these functions have been streamlined for the mobile experience. Creating a test is four simple screens in which you choose the type of test, timing, subjects, and number of questions. This test creation is far superior to the desktop program’s confusing series of check boxes. All functions are quickly available on the header and footer and the lab values are easy to find. One constant annoyance is the zoom interface that appears at the bottom right every time you touch the screen. In either portrait or landscape configuration the zoom buttons obscure the last line of text for several seconds. It seems minor, but being unable to see the end of the text for three seconds every time I scroll is very frustrating. The zoom buttons should be added to the menu header/footer. The restrictions on screenshots also seems to cause stability issues. 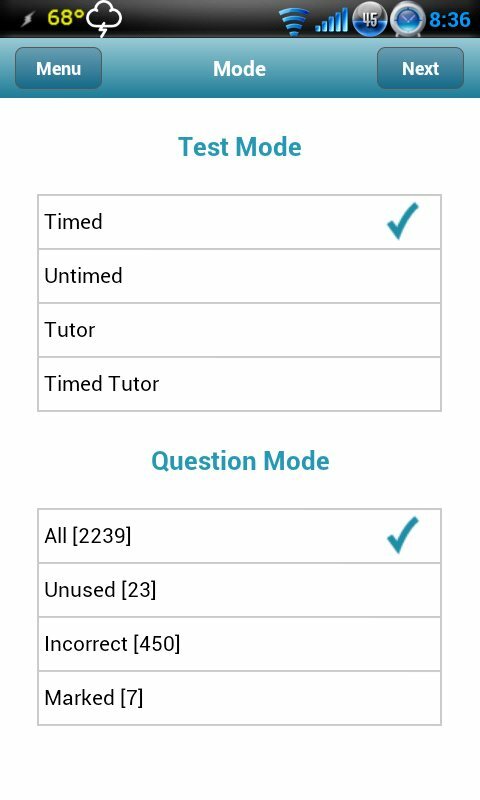 UWorld needs to protect its intellectual property, but I have had multiple force close issues when switching out of the app to receive phone calls and text messages. This app drains a significant amount of battery as well. Although my Thunderbolt is not a paragon of battery life, I initially lost about 10%/hour on WiFi, 12%/hour on 3G, and 15%/hour on 4G LTE. The biggest offender in battery drainage is the pure white background that causes the backlight to constantly stay at full power. I reduced the battery drain significantly by turning the screen brightness to its lowest setting, but this unfortunately makes the questions hard to read. 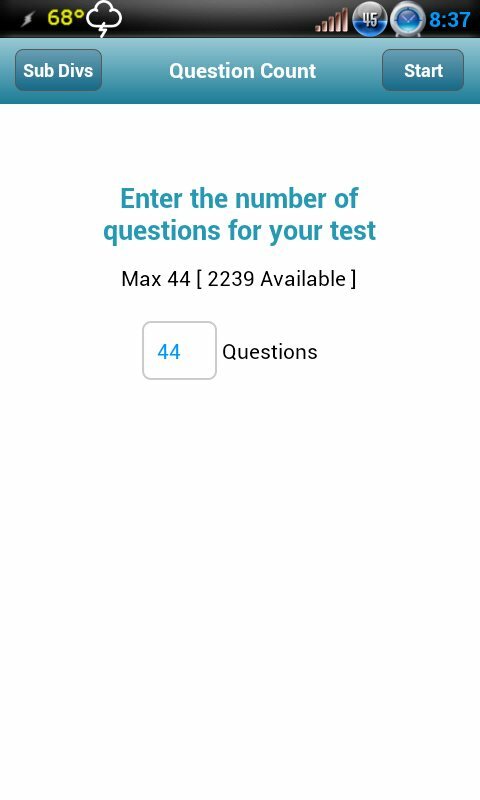 The app would greatly benefit from changing the background to a light gray instead of pure white. An additional point of note is that this app requires Android version 2.3.3, so users with older devices may not be able to download it from the store.